Trash Masters commercial dumpsters are rear load dumpsters. Rear load dumpsters are designed for commercial garbage tracks that pick up trash from the rear of the truck. 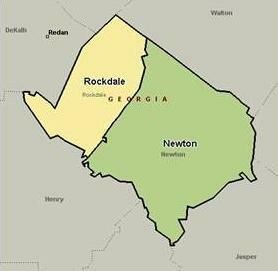 Trash Masters commercial service is available in Rockdale county and parts of Newton county. We offer 2, 4, 6, and 8 yard commercial dumpster sizes. We also provide our roll off dumpsters for commerical services as well. Our commercial dumpster service plans range from daily, weekly, or monthly disposal of the rented dumpster. In addition, service plans can be designed to meet your specific needs. Call us with the kind of dumpster you require and the waste you might have so we can design a plan around your needs. Our roll off dumpster sizes vary from 10 to 30 yards to suit all of your needs. Our roll off dumpsters can be delivered and picked up in Atlanta metro area including: Atlanta, Avondale Estates, Bethlehem, Clarkston, Conley, Conyers, Covington, Dacula, Decatur, Duluth, Ellenwood, Grayson, Jersey, Lawrenceville, Lilburn, Lithonia, Loganville, McDonough, Monroe, Norcross, Oxford, Pine Lake, Porterdale, Redan, Rex, Scottdale, Snellville, Social Circle, Stockbridge, Stone Mountain, and Tucker. Our commercial dumpster sizes range from 2 to 6 yards to accommodate your needs. Our commercial dumpster service area includes: Conyers, Oxford, Stockbridge, and Covington. Contact us for professional dumpster rental service.